Visit #1 Irish Pub in Savannah! Tim welcomes you to Mc Donough’s established only recently but with tradition in mind. It is a complete Irish Pub in Savannah, complete with the wooden flooring and burning fireplace. Our cook Mary is famous for her’s Shepherd’s Pie and other authentic Irish meals but we also serve hamburgers and steaks for affordable and reasonable prices. We hope to become a long time favorite among the locals and a destination for newcomers. Mc Donough’s stands at 220 W Broughton Street just south of Savannah River. The building itself dates from 1890, and over the years it has operated as a grocery store and restaurant but today it is an Irish Pub. You can find many local Irish delicatessens, meals, and drinks. We have locally brewed mead and Irish craft beer on our menu, so don’t miss out on those. 1.Currently, we have more than 100 beers to offer from all over the world, including Ireland and some of the best European beers. As well Mc Donough’s organizes game and quiz nights, giving out valuable prizes. 3.Watch any sporting event on our TVs, no matter if they are playing the US or Europe. The base of our business is the tradition. Love for tradition and traditional beverages and food made us what we are. Our chief Tim established McDonough’s on the appreciation for the history and the certain things that made the past lifestyle special. His Irish roots and stories from his grandparents made him want to open a pub in which you can feel the history but also have the best of what the modern world offers you. McDonough’s offers you exactly that; a piece of traditional lifestyle blended with modern ambient and service. Tim always had a passion for people and spending time with loved ones, so he successfully put that passion into something we now call McDonough’s. Even though we are not in Savannah for a very long time, Tim is in this business for longer that most of us can remember. After working in several restaurants and pubs all over New York, he finally decided to spread his own original Irish pub in which everyone could feel welcome and cozy. Today, your favorite Irish pub in Savannah offers you more than hundred types of beers, traditional Irish foods like Lamb Shepard’s Pie or Guinness Beef Stew and famous pie made by the best cook Mary. We are proud of what McDonough’s represents; an Irish tradition in which everyone is welcome. The ambient of the pub talks for itself. Tim made sure that you can feel the Irish vibe as soon as you enter the doors. Big wooden furniture and a huge bar with beers, separate rooms, and Irish decoration make this pub cozy and warm. 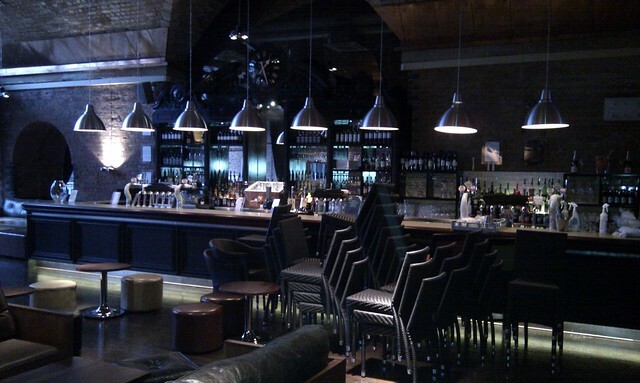 If you type our name in Google, you will find many photos of our pub because it is truly memorable and recognizable. Of course, while having the most amazing beer, you will also enjoy some Irish music as well as some high-quality rock. Mcdonough’s is a perfect place for a group of friends who want to enjoy their time together and talk to each other while having the best burger and beer in town. Tim made sure to give an amazing experience to each visitor. However, as we talk about the present, we have to remind ourselves of the beginnings. So, when Tim came to Savannah, he only had one idea; to start an original Irish pub- a place for everyone to enjoy the evening. But how to achieve that? Thanks to his experience, Tim had many relationships that could help him get everything a real Irish Pub needs. Thanks to his previous cooking jobs, he knew exactly where to get quality meat for the burgers and stews. He started working on the menu right away and had everything he needed for one month only. It was a little harder to get authentic Irish beers, but his family located in Ireland did a great job helping. So, the biggest problem turned out to be setting up the pub- the bars, furniture, decoration, big fridges, cooking furniture, etc. That’s when Tim ran into his old friend from Savannah, and he told him about a Savannah movers named Liberty Moves. Even though Tim is a very spontaneous and relaxed guy, he wanted his pub to be perfect, so he was cautious. After thinking, he gave a call to Liberty Moves. The company was at his place the very next day and he spent the next two weeks constantly in the van of Liberty Moves. The things were moved fast, and nothing was damaged. Even the fragile beer boxes came completely undamaged, and the furniture was not just moved correctly but also placed correctly.Tim being Tim made awesome friendships with workers from Liberty Moves, so some of them even helped him install the decoration and do some small things in the pub. They ended each day with the original Irish beer. Staff from Liberty Moves taught Tim how to box fragile things properly, so he was able to do some of the moving himself in the future. They also taught him about labeling so his staff would work more efficiently and quicker. Even today, we often hear Tim speak of Liberty Moves and the great job they’ve done. We constantly need to listen about labeling and moving things from place A to place B safely. And in according with the policy of our pub; tradition- Tim continues to keep in touch with Liberty Moves for any additional moving job. As we have mentioned on our site before, and you probably already know it, the building our pub is located in was built at the end of the 19th century and has served as a grocery store and a restaurant. After many years in use, its walls, paint, particularly its roof, have become worn out and needed to be repaired. We couldn’t let our pub have the old roof since we deeply care about the appearance of our establishment, but we were also aware of the risks a damaged roof posed for our business. Before opening our Mc Donough’s Irish pub for business, we had to take care of some of the basic safety and appearance concerns that have been bothering us for ages. Our roof was often leaking, and the heating costs were unusually large, which is what we couldn’t just ignore. We decided we will seek professional help since neither one of us knew nothing about roofs, let alone how to repair them. We were already familiar with the roofing business our partners, do since we keep a personal relationship and we are good friends. The roofing contractor from Savannah is not a choice we regret doing. We were tired about worrying too much what will happen to our pub because of the roof and we contacted them. Read more about how they repaired our roof and what results did the repair bring to us. Savannah is a city with rich history and culture, and also provides a variety of services. One of them is quality roofing which our friends offer. Having that in mind, we contacted them immediately after realizing our roof was in awful shape. The guys did a fantastic job on advising us more about the new design, the style and the color of our roof. Since the shingles that had been installed on the roof were no longer in production, they found a very similar material that is able to imitate the old material. We were absolutely stunned at the skill they possess to make our roof more uniform and beautiful. They were completely open-minded during the repair process – they took our free time into consideration, and they maintained a professional, as well as a friendly relationship with us. The repairs were relatively fast, and the costs were really small. The effort they put into their work is really admirable. We were so much worried about how our roof is going to turn out, but our trusted roofing contractor kept a cool head during the repairs – they were keeping us informed at all times and explaining what tools and techniques they use to mend our roof. They also informed us on how to keep our roof maintained at all times and how to avoid further damages. After the repairs were done, we were very pleased with the results. Now the roof doesn’t leak at all, and the amount of money we need to set aside for heating bills has grown smaller. We are certain that we’ll no longer need any extensive repairs to be done because the results of the job they did will last a long time. We intend to keep our business running for years to come, and having a quality roof is one of the requirements we need to fulfill in order to do that. The great work ethics, professional relationship with their customers and the quality of the work they do is just a speck of the reasons you should contact them if you live in Savannah, GA and are in need of a roof repair. We can’t recommend them enough. And we’re not saying that just because we know them personally – they truly offer the best services in roofing in Savannah. This roofing contractor from Savannah is more than just simple repairs of roofs atop Irish pubs. They also offer a multitude of other services to make your roof even better and more durable. They offer the services of both residential and commercial roofing, which proves that they are a multi-skilled team with high levels of proficiency in anything that involves roofs. Roofing can install asphalt, metal or flat roofs to your house, as well as PVC, EPDM, metal, and built-up roofs to your building. If your roof is in a such a bad shape it needs to be replaced, will do just that, along with providing you with the best advice on how to prevent such an occurrence ever happening again. If a storm has hit your home, badly damaged your roof and you need to have it repaired immediately, our friends at will also give you the service of storm damage and emergency repairs. Water damage restoration is also one of the services they offer. As a catering establishment, we could possibly suffer such a damage one day, and we will be sure who to contact in case of such emergency! If you are unsatisfied with the money you have to spend on electricity bills, also provides the service of installing solar panels on your roof! It is an environmentally friendly solution that will also increase the value of your property. We are sure that they will do the job very professionally and in time. After that, you will have the roofing contractor in Savannah you can always rely on like we realized. It was founded by General James Edward Oglethorpe in 1733, who arrived here from England. Some parts of Forest Gump were filmed here in Savannah. You all probably remember that scene with the bench and famous “Life is like a box of chocolates” quote, which was located on the north side of Chippewa Square. Today the bench is located in the Savannah History Museum. Oglethorpe organized and designed Savannah into grids, and today city is dubbed as the America’s first Planned city. It has wide streets and 24 public squares, it is worth mentioning that 21 original squares were carefully preserved throughout the years and still exist today. Juliette Gordon Low was born in Savannah, the Girl Scout founder. It is worth mentioning that the very first meeting was also held in Savannah. Only thank to General Sherman, was Savannah preserved during the Civil War, since he was so impressed by Savannah’s beauty he sent a telegraph to President Lincoln, offering it as a Christmas present. Events of the book Midnight in the Garden of Good and Evil happened in Savannah in the 1980s, particularly the murder trial of John Williams. Famous Pirate’s House was an inn that is mentioned in the Robert Louis Stevenson’s book Treasure Island. Today it is a restaurant. Savannah’s Historic District is one of the biggest in the US, 40 years ago it was designated as National Historic Landmark. 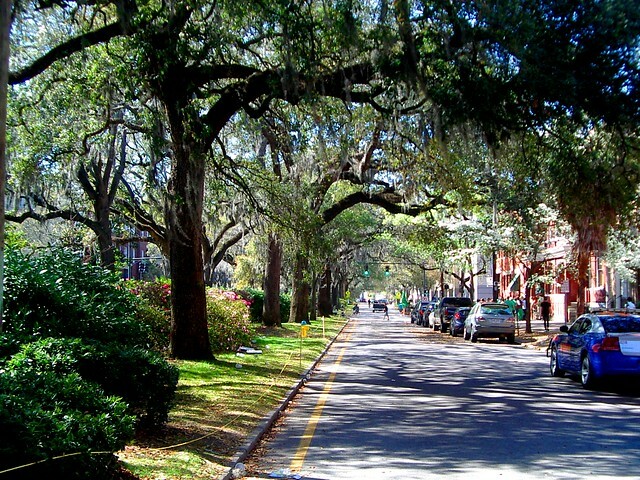 By the New York Times, Savannah was voted one of the “World’s Top Ten Trendy Travel Hot Spots”. It was the first capital of the 13th colony and later of Georgia.